There’s No Time to Be Lazy or Crazy! Most of y’all have finished (or are finishing) your triathlon season. Now it’s time to relax and take a couple of weeks off to rest, enjoy summer, and prepare for school. Although rest weeks are an athletes favorite weeks of the year, rest does not mean it’s time to be lazy! The main objective during your rest period is recovery! You have just finished months and months of your hardest training, pushing your body to tough limits, wearing and tearing your muscles, and now it’s time to recover and let your muscles build back up and be ready for next season. Some athletes believe their rest week involves eating a bunch of junk, staying up super late, and laying on the couch all day. That may be an athlete’s dream, but that is the wrong way to recover – because it can have negative effects on your overall health and future training. 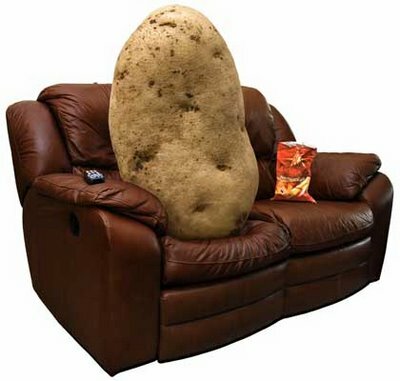 Enjoy your rest period, but don’t be a couch potato for too long! During your rest period you still need to be on a good sleep schedule, eating healthy, stay somewhat active! Staying on a good sleep schedule will allow your muscles to rebuild and help your energy levels fill up. Spending every nigh staying up till 3am and sleeping all day will lead you into a bad start of your next season. Eating healthy will aid in both muscles and energy and keep you from adding a couple of pounds during your break — and the last thing you want to do is come back into training stiff as a board! Staying active will keep you in decent shape and keep your muscles loose. Some ways to stay active on break without doing tough workouts could include: doing yoga, playing tennis, golfing, playing ultimate frisbee, going on walks, doing abs, stretching, or anything else you enjoy! It’s not bad to stay up late with friends, eat a big bowl of ice cream, or spend a day on the couch, as long as you do that in moderation. Maybe stay up late on saturday night and relax on Sundays but don’t repeat it too much during the week – find a plan that works for you. By staying active, eating healthy, and sleeping well, you’ll be going into your next triathlon season on top and ready to achieve your goals!